Background: Since 1769, when the Turks Head Inn first offered refreshment to weary travelers, West Chester has been a place of hospitality to visitors from around the world. It became the seat for Chester County in 1788 and incorporated as a borough in 1799. Stroll along brick sidewalks past the building where Abraham Lincoln began his quest for the presidency; where the great African-American folk artist Horace Pippin lived and painted; where America’s preeminent composer Samuel Barber was born and raised and actors Claude Raines and Eva Marie Saint spent their days. West Chester is nestled in the heart of the Brandywine Valley, downtown West Chester reflects the small-town charm and cosmopolitan tastes that prompted The Philadelphia Inquirer to call West Chester “. . . one of the world’s most perfect small towns” Come see for yourself! Mission: We setup Mywestchesterpatown.com in order to inform people about different events and happenings around West Chester and the surrounding areas. Therefore, our mission is to make your life easier, by providing a website for you to visit in order to find out what is happening in and around West Chester. 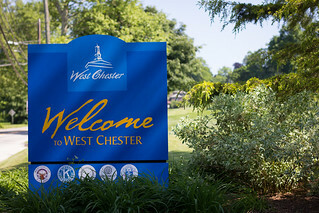 We are dedicated to all things West Chester, Please visit us daily for constant updates! If you have any questions or ideas for the website do not hesitate to contact us.